David Beckham has come to the defense of under-pressure Manchester United manager Louis van Gaal, saying the Dutchman needs time to turn the club’s fortunes around. United’s 3-0 FA Cup win over third-tier Shrewsbury on Monday gave Van Gaal some breathing space but the club still need to overturn a 2-1 first-leg deficit at home to Danish side FC Midtjylland Thursday if they are to progress in the Europa League. United are only fifth in the Premier League after seven defeats this season, with Van Gaal under fire for a ‘dull’ style of football seen as contrary to the club’s traditional attacking approach in the eyes of many fans. Recently the local Manchester Evening News took the unusual step of calling for Van Gaal, who replaced David Moyes — the short-lived successor to hugely successful United manager Alex Ferguson — to be sacked. But former United midfielder Beckham, a key member of many of Ferguson’s victorious teams, told Britain’s Talksport radio on Tuesday: “He (Van Gaal) is an experienced manager with a great reputation in the game. Sometimes it takes time. It is not easy being manager of Man United. “We have to look at results, we have to look at the way we play, we have to listen to fans – the people that really matter at the club — and I only hear great things about him as a person, as a manager, as a coach,” the former England captain added. “I have met him once before and he treated me unbelievably well. Jose Mourinho, sacked by English champions Chelsea after the Blues’ woeful start to this season, has been touted as a possible replacement for Van Gaal at Old Trafford. Beckham, while wanting Van Gaal to be given more time at United, said he hoped Mourinho would get another chance to manage a Premier League club. “Jose leaving Chelsea, who would have expected that after the season they had last year? 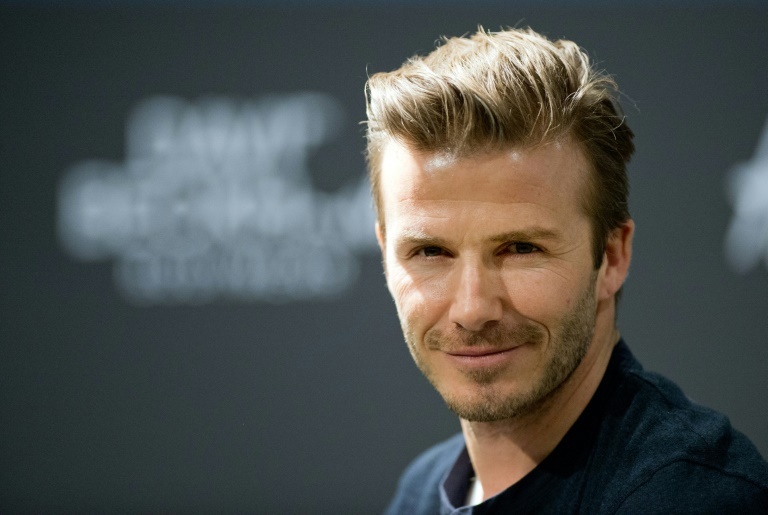 It doesn’t make him a bad manager,” said Beckham, who left United for Real Madrid in 2003, before spells with Los Angeles Galaxy, AC Milan and Paris St Germain ahead of retiring in 2013. “He is still one of the best managers and I hope he comes back to the Premier League as soon as possible. ManU was a force to be reckoned with. People used to hate it for that but now it’s out of it. Everything comes to an end, i guess. After Ferguson’s leave, ManU has been going downhill.